Last week or so, Audrey had a special assignment for one of her classes. It was a "how to" assignment. She chose "how to make tuna casserole". She stayed up late the night before it was due, preparing the dish, so she could get up early the next morning and put it in the oven. The presentation was supposed to be at about 1 pm or so. Audrey went into the teacher's break room only to find it not in the refrigerator. She looked around for it and finally found it on the table, but when she opened the cover, the casserole wasn't there and the dish had been washed! She gasped in distress and one of the teacher volunteers asked her what was wrong. She said that her class project was gone. The volunteer got a worried look on her face and said, "that was class project? It was delicious. We thought you brought it for Teacher Appreciation Week." She then showed her a small cereal bowl sized dish that had some left-overs in it. 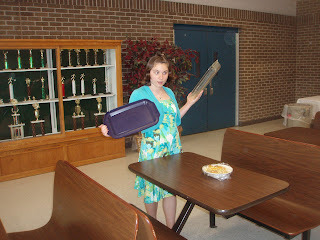 She took her empty casserole dish and leftovers back to the class and explained it to her teacher. The teacher said it was ok and to go ahead and give the presentation. 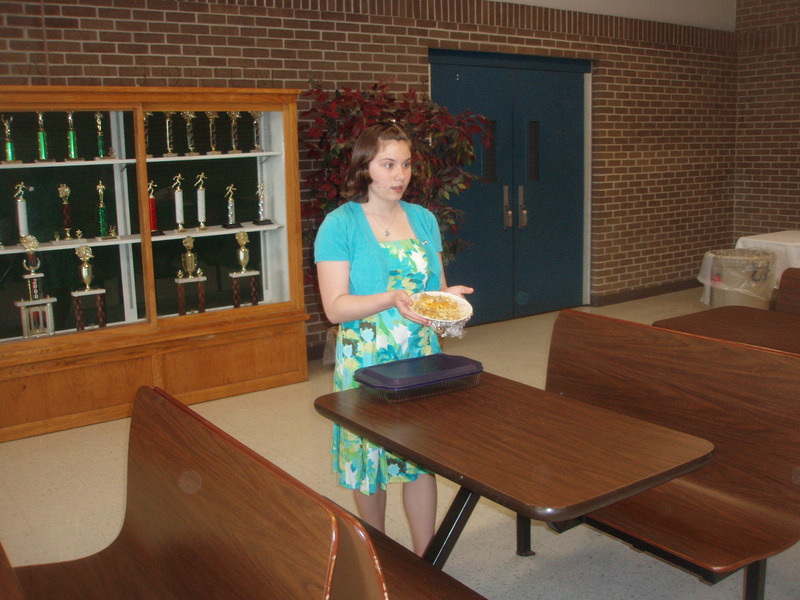 Audrey brought some plastic forks and everyone had a very small bite of her casserole, explaining to the class "The teachers ate my casserole." The teacher told me that it was absolutely delicious and she'd get an "A+". I guess "all's well that ends well." Perhaps a twist on the "The dog ate my homework" excuse? It's now "The teachers ate my homework."